Much has been made over the last 3 days about The Susan G. Komen the Cure foundation cutting off funding for Planned Parenthood. Now there is talk of them reversing that decision and whether or not their statement actually does reverse the defunding. what has not been discussed is that one of the key figures Komen Senior VP Karen Handel, a former Georgia Secretary of state, is not only anti-choice but also anti-gay. The breast cancer Race for the Cure's parent organization, Susan G. Komen for the Cure, yesterday cut off funding for breast exams at Planned Parenthood clinics in response to demands from GOP members of Congress and the religious right. And it just so happens that the head of Komen is a former George W Bush appointee and huge Republican party donor. 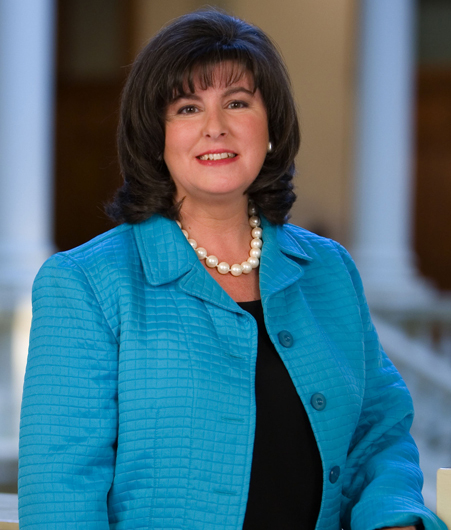 In addition, Komen's senior vice president is a self-proclaimed conservative Republican who promised to defund Planned Parenthood two years ago while she was running for Governor of Georgia. At the time, she also let known her feelings about gay people. KH: I’ve been very clear. And you know, as a Christian, marriage is between a man and a woman. I do not think that gay relationships are — they are not what God intended. And that’s just my viewpoint on it. Others might disagree with that. But I would also hope that if you look at what is happening in our state, we’ve got issues we need to be focused on in Georgia . We have a constitutional amendment against gay marriage. And it’s something that I supported wholeheartedly. We have that, and let’s get dealing with the other issues that we also need to deal with in Georgia. And the press can help with that. (Laughs). Q: Frequently, folks in the Legislature kind of threaten to — there are always rumblings in the Legislature that they may outlaw gay adoptions. You’re against gay adoption. KH: I am against gay adoption. But remember — I mean, if there is legislation on that, certainly I will follow that and look at it. But in the end, ultimately courts are going to be the ones to have to make the decision on that and it’s always in the best interests of the child. Do I think that gay parents is in the best interest of the child? No. But we do have our court system that deals with many and most of those issues. KH: Yeah, I would consider that, absolutely. KH: Not that I’m aware of. KH: I think that for a child to be in a household — in a family in a household with a situation where the parents are not married, as in one man and one woman, is not the best household for a child. KH: Doug, I’m really trying to be straightforward with you but I’m not going to debate all the nuances. I’ve made it abundantly clear that I think that marriage is between a man and a woman. And that’s what I believe, and I don’t know what more you would like me to add to that.